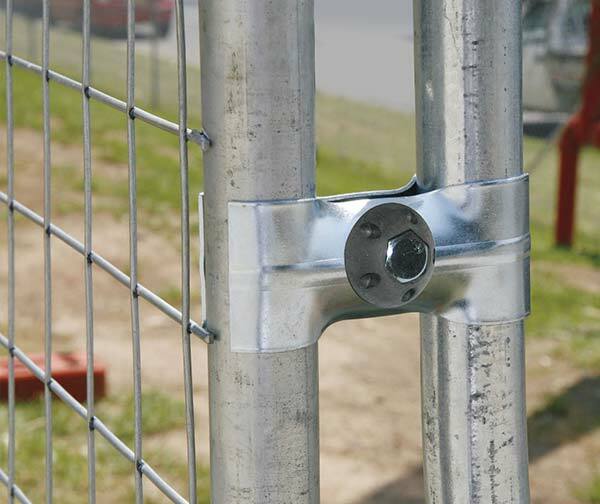 When installing a temporary fencing solution, it is important to ensure you are using not only high quality fencing panels but also that all temp fence supplies and accessories are top notch. Even excellent temporary fence panels can be undone by poor quality accessories. Our application tool is specially designed for use with our security washer. Once secured, our virtually indestructible security washers can only be dismantled with our special application tool. While unauthorised personnel will find our security washers nearly impossible to remove, with our application tool they can be swiftly, conveniently and easily undone. We understand how frustrating it can be to fiddle with difficult-to-use tools that require great physical strength to effectively handle. That’s why we’ve designed our application tool to be as user-friendly as possible. One needs neither specialist knowledge nor large amounts of brute strength to effectively undo security washers using our unique application tool.